FOCUSING ON BASICS means targeting the root cause of many health challenges, rather than merely addressing the symptoms. At the bottom of the food chain, blue-green algae is the first protein and the most ancient food on earth. Ounce-for-ounce, it is also the most nutrient-rich food in nature. This simple organism is complete nutrition in its most basic form – the “building blocks of life”. There are many varieties of blue-green algae; Foundation Blue Green Algae is a particular variety called Aphanizomenon Flos-Aquae (AFA). AFA is the premier, most nutritionally dense Super Food available. So packed with nutrients, it can significantly reduce allergies, increase stamina, strengthen the immune system, and dramatically improve your physical and mental conditions. It is a perfect food… so, of course we changed it. AFA is easily digested and absorbed in its dry state in a capsule… unless, there is something already challenging your digestive system. This is why we combined the algae with a custom-tailored enzyme blend, specifically developed to instantly break down the algae cell walls once moisture is introduced, such as, in the stomach. This relieves your body from any additional burden of producing its own enzymes to digest it. Did we disrupt perfection? Certainly not… no more than shining a light on Michelangelo’s statue of David, or moving Luciano Pavarotti from a Starbucks coffee house to the Metropolitan Opera house. In other words, we started with perfection… then made it better. Most scientists and nutritionists agree that one of the greatest changes in the human condition, in the past century is in the foods we eat. Our foods have become nutritionally depleted, and yet use of pesticide and artificial fertilizers has increased. Fresh fruits and vegetables in the grocery stores have only a small percentage of the nutrients that were available in the same food during the early 1900′s. There is a definite correlation between the lack of nutrition in our foods, and the dramatic rise in allergies, immune system dysfunctions, degenerative diseases, and other health problems. By simply adding Foundation Blue Green Algae to their diets, people are amazed at the dramatic difference in how they feel. Sometimes, you have to feel better before you realize you feel bad. The only known source of this specific variety (AFA) of blue green algae is Upper Klamath Lake, Oregon. Known for being one of the world’s most pristine lakes, it is surrounded by ancient volcanic mountains, and plentiful with rich sediment. Klamath Lake now has more than 37 feet of this sediment, which is why it is known to be one of the most nutrient and mineral rich areas on earth. The nutrients in this lake, plus the lake’s pure water from fresh mountain springs, combined with an average of 300 days of sunshine per year, are the components that allow this most pristine environment to grow a perfectly nutrient-rich food. What kind of nutrients does it contain? The concentration of micronutrients found in Foundation Blue Green Algae are beyond comparison. The small molecular structure allows nutrients to be more easily assimilated than any other food from the plant or animal kingdom. Foundation Blue Green Algae is 60% high quality protein. The most concentrated protein, per weight, found in any other food, including animal products. The protein assimilation rate for Foundation Blue Green Algae is 75%. This is much higher than Spirulina (37%), Chlorella (20%), and red meat (18%). Foundation Blue Green Algae contains all of the essential, and most of the non-essential amino acids, plus easily assimilated B-vitamins (more B-12 than liver). 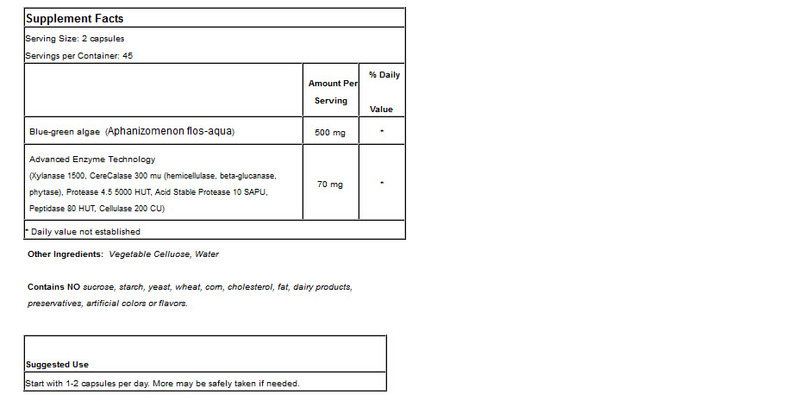 Also, contained in this micronutrient are some of the richest supplies of chlorophyll. Vitamins, minerals, essential fatty acids, antioxidants, Applied Health’s AET enzymes, and other essential nutrients make this a complete nutritional package. What is Advanced Enzyme Technology? Advanced Enzyme Technology (AET) is Applied Health’s proprietary enzyme delivery system. Applied Health has added AET to Foundation Blue Green Algae to enhance nutrient absorption and utilization. All of Applied Health Solutions’ AET products work synergistically to encourage even greater health benefits. 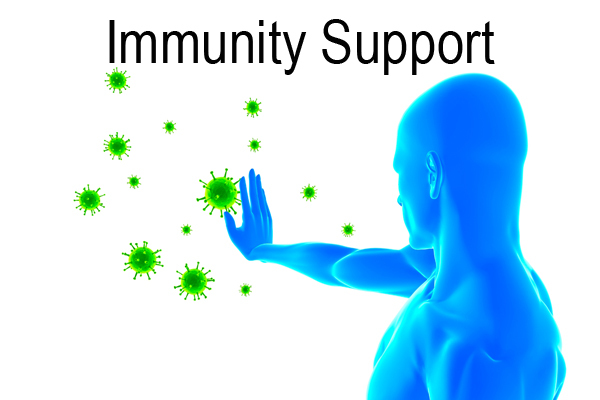 Does Foundation Blue Green Algae really improve allergies and the immune system? 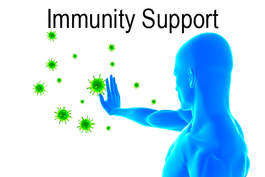 Yes, it truly has a powerful effect on allergies, and strengthening the immune system, overall. The human body can better protect itself against allergens, viruses, bacteria, etc, when given the proper tools through nutrition. Nourishing the body and cleansing the toxins will strengthen the entire immune system, along with building energy, stamina, and decreasing allergies. 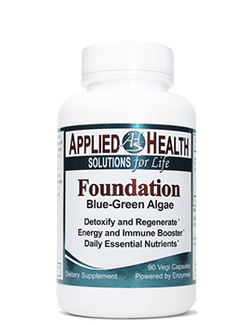 Foundation Blue Green Algae is an extremely effective detoxifier, and a few annoying cleansing symptoms (such as: minor headaches, body aches, or digestive disorders) may appear in the beginning. Because of this, we recommend beginning the Foundation Program with less than the usual dose. This is to ensure the body is not immediately burdened with a high concentration of toxins releasing into the bloodstream. Remember, detoxifying the body is a “good” thing and will encourage your immune system to strengthen and your body to get the most effectiveness out of the nutrients provided by Foundation Blue Green Algae. How do I start the Foundation Program? Start by taking one capsule a day, for the first three days. Gradually increase by adding one capsule to your dose, every three days. Drink plenty of water to help in the detoxifying process. If the cleansing symptoms get too annoying, then just cut back on the dose for a few days, until the symptoms ease. Then, begin to increase the dose again, gradually. Foundation is also a superb “food” for enhancing energy levels, before and during intense athletic activity. When involved in strenuous activity, take at least two capsules just before, and/or during the workout. Build up to as many capsules as you need. Remember, Foundation Blue Green Algae is a “food”, and everyone’s individual needs are different. Eventually, you will know what feels right for your body, and which daily intake is necessary for you. Please include what products you wish to order and your mailing address so we can figure shipping to your location. An invoice will be emailed to you with the total due (less discounts) and shipping costs. You can then pay by credit card on the invoice sent to you. If you would prefer call us at 941-840-1268 and we can take your order over the phone.